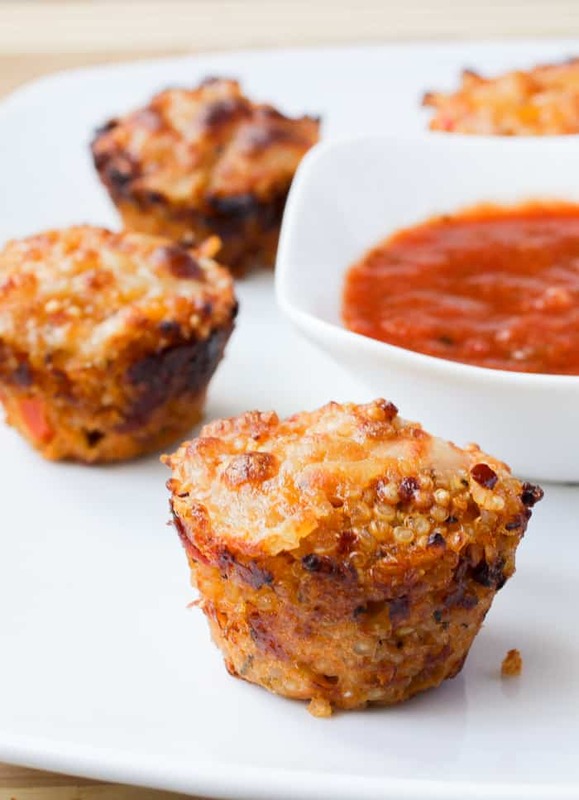 These Easy Quinoa Pizza Bites will satisfy your every pizza cravings. They are protein packed, delicious, and great for parties! This might be my last Quinoa post for January (yeah right), because I think I’m all Quinoa-ed out! I’ve been eating it on the down low and I am officially adding it to my list of grains to eat endlessly. These Quinoa Pizza Bites were such a hit! 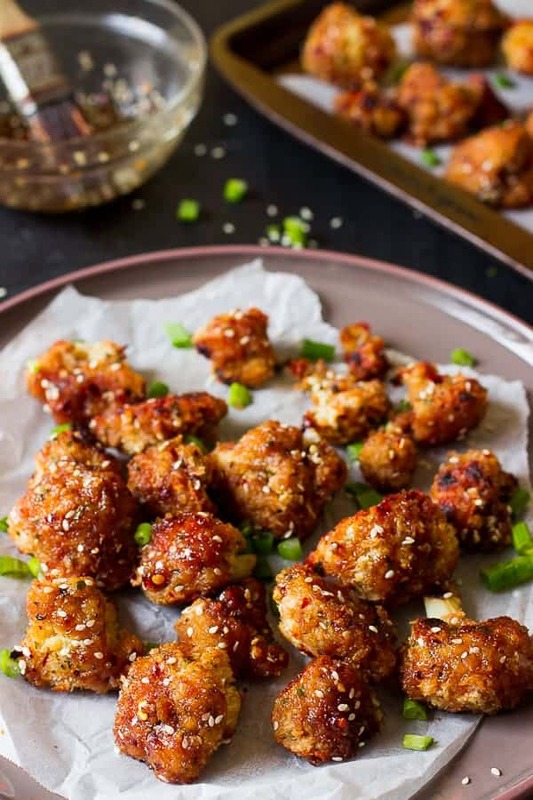 First of all, if I had my own way I would host a Super Bowl party will all of these delicious healthy stuff including of course my Sticky Sesame Cauliflower Wings but that would be in a perfect world…I still plan to sneak in some healthy treats without these shouting men knowing! I will admit that I ate all of these…my mom got one. Being a huge pizza fan, I thoroughly enjoyed these. They’re perfectly chewy and like mini pizzas in a bite (duh Jessica) PLUS you get additional sauce to dip them in. I can’t get enough of pizza sauce, it’s like crack to me! I even started taking smaller bites so that I could get more pizza sauce. 🙂 . Good thing it’s healthy! 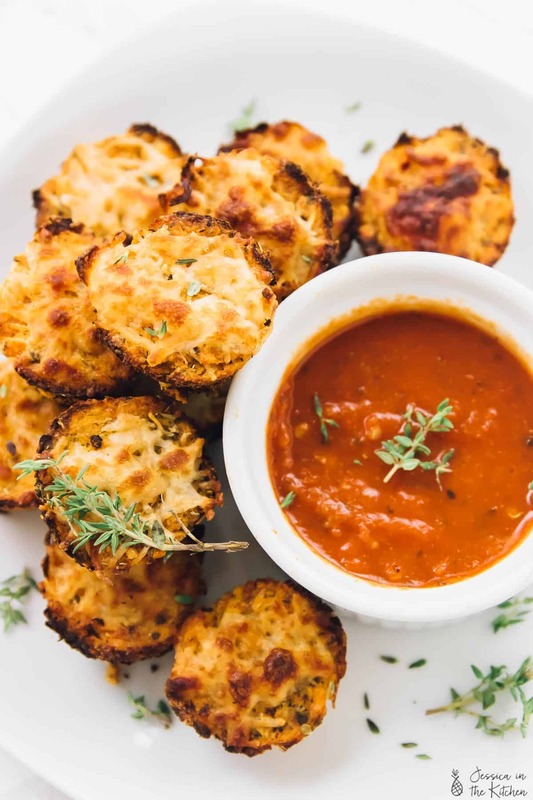 If you like these, you’ll definitely love my Cauliflower Pizza Bites too. I also added melted cheese on top by turning on my broiler which gave these a delicious crust. They were the perfect lunch and are so great if you are on the go. I’m trying to look more into quick lunches since on my drive home I fought off the fast food thoughts and quickly rushed to the kitchen to cook something healthy aka Whole Grain Baked Mac & Cheese. Ah, I think I hear it beeping that it’s ready! While I go indulge in some “healthy” but delicious food, please try these! They are so good! Have an amazing weekend! 1. Mix 1/2 cup uncooked and washed quinoa with 1 cup water and a pinch of salt. Bring to a boil first and then lower heat. Cook the quinoa for about 15 minutes until fluffy. You should get about 1 1/2 cups of cooked quinoa (you only need 1 cup for the recipe, so you could always make extra pizza bites or use it another time). 2. Preheat oven to 400 ° F/ 205° C.
3. Grease a 12 mini muffin tin pan OR line it with parchment paper with strips over the sides. I found the parchment paper worked best for me! 4. Mix all of the ingredients together, except the extra 2 tablespoons of cheese. 5. Put a tablespoon into each muffin tin, packing them in. 6. Bake for 12-15 minutes. 7. Remove from oven and top with remaining 2 tablespoons of cheese. Broil for about 30 seconds to 1 minute (please watch them, they burn easily). 8. After broiling, allow to cool on a wire rack for about 15 minutes and then remove from pan. Serve with Marinara Sauce. Enjoy!! This can last for about one week in the fridge in an air-tight tupperware container . You can freeze these items and pop them in the oven to heat them up. If you’re making this for kids or you don’t like spice, the red pepper flakes can get really spicy when baked, so you can leave it out. 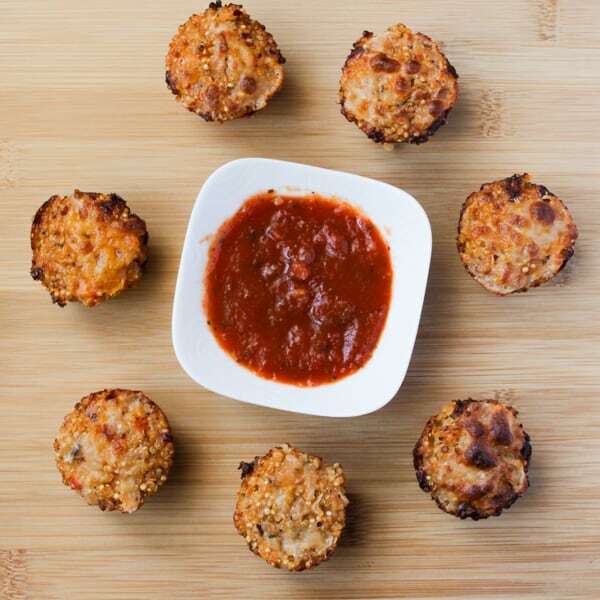 If you try these Quinoa Pizza Bites please let me know in the comment section below, or tag me on instagram with the hashtag #jessicainthekitchen! For more exclusive recipes follow me on Instagram AND on Snapchat: jessinkitchen. I REALLY like these! I have just recently started jumping on the quinoa bandwagon and it is quite satisfying! I love the crust on these and I would totally be dunking it into that marinara sauce!! Have a great weekend Jessica! Thanks Renee! Welcome to the quinoa bandwagon 🙂 . Have a great weekend too!! These sound fantastic! Pizza bites that are healthy? I could totally get into that! Perfect timing! I just bought another bag of quinoa! Haha perfect ! Thanks Liz! these are great and guilt free! Wow!!! These look amazing! What a great idea 🙂 YUM! I love pizza-y healthy stuff… like sometimes I have veggies with marinara sauce… or make a pizza and use a fried egg white as the crust! YUM! I hope that you have a great weekend! Jessica, these are such a great idea! I don’t eat quinoa enough because I’m pretty much the only person in the house that will eat them. That’s actually a good thing considering I could eat all of these myself, too. ha I’m pinning to try these! Oh my gosh. Best idea ever! I’m obsessed with quinoa AND pizza. Put together = best dinner/lunch/snack …breakfast?! Can’t wait to give these a try! This is genius and I know it’s gotta be delicious! I love how filling yet light quinoa is and all the better with marinara sauce. Love this idea! Love these quinoa bites! They look so inviting and moreish, Jessica. I am definitely trying these, love quinoa and who doesn’t like pizza. Genius recipe! Before I say how much I love these, I should tell you my boy just looked over at your pictures and went “OOOOOOO, pin that and make it happen!”. Hhahah, so I will be trying these. Not like he has to wring my hands coz they look so great. Holy cow these are fantastic! Anything called a pizza bite is going to be my dream come true! What a great idea Jessica! 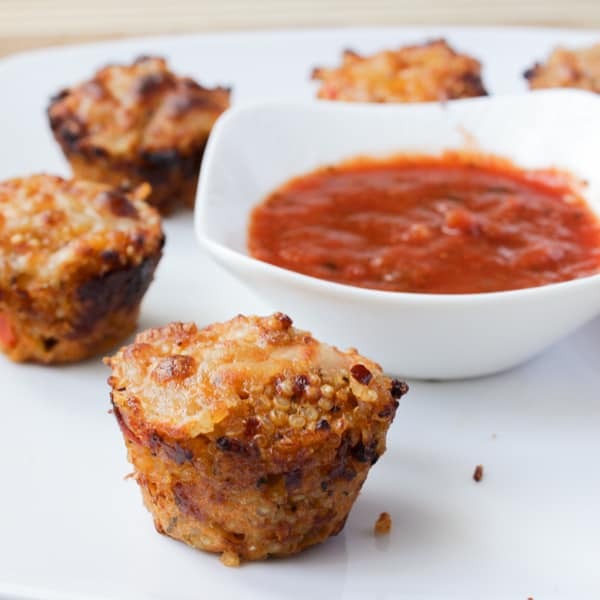 I love quinoa and pizza and how awesome to combine them together:) These healthy bites look fantastic and can’t wait to give these a try! Do you use 1 cup of uncooked quinoa or 1/2 cup uncooked (that turns into 1 cup cooked) Thanks! I used cooked quinoa, which I made with 1 cup uncooked and 2 ½ cups water to make 3 cups. If you use ½ cup uncooked quinoa you could just add 1 ¼ cups water and a pinch of salt, and cook together for 15-20 minutes on medium heat. You’d end up with 1 ½ cups of cooked quinoa, and you could use the other half to make extra pizza bites! I hope this helps and thanks for asking! http://www.thekitchn.com/how-to-cook-quinoa-63344 this link details how to cook it properly! What is the calorie amount per one pizza bite? It’s about 40 calories per pizza bite. These are delicious! 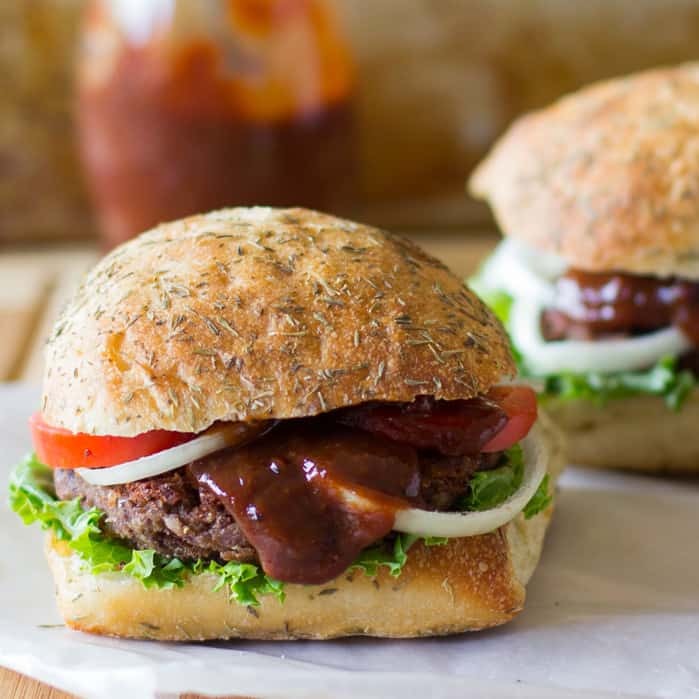 I made them tonight – so quicky and easy! – and my husband has requested we put them on the permanent rotation! 😉 so, thanks!! Thank you Anne! I’m so glad you enjoyed them so much!!! 🙂 You’re more than welcome. There are generally cnirately lots of details that way to consider. That could be a great point out bring upwards. I give you the ideas above as normal inspiration nonetheless clearly you will find questions just as the one a person carry up where key point will be employed in honest excellent faith. I add? t understand if guidelines have come about round issues like this, but I know that your career is clearly defined as a excellent game. Each girls and boys feel the actual impression of merely a moment’s satisfaction, for the rest of their lives. I precisely wsihed to thank you a lot yet once more. I’m certainly not certain things that I could possibly have completed in the lack of the pointers shown by you regarding this case. This has been a frustrating scenario many people feel, nevertheless determining the well-written tactic you treated the problem made myself to weep for gladness. Now i’m happy for that information and then trust you already know what a fantastic job that you will be undertaking instructing the below average ones all over a web site. Probably anyone haven’t encounter any of us. Thanks Sammi! Happy New Year! Great idea, but much too salty for me. Will try again, but reduce salt. I think my son would really enjoy these! Thanks for the feedback Jennifer! I hope he loves them! I’m so glad to hear that Kasey! Thanks for the feedback! These are SO GOOD. And super easy!!! My 5 year old helped me make them, and they didn’t last 5 minutes with our boys! Thank you! I’m so glad you enjoyed them Sarah! Thanks for the feedback! I made these today for my picky seven year-old daughter and she happily ate these delicious treats. Definitely will be on a rotation for snack and or appetizer for the family. I added the remainder quinoa and another spoonful of the sauce. Perfect amount for the mini cupcake tins. Hi. These look amazing! My son has an egg allergy do you think I could replace the egg with something else? You could try making a flax egg: 1 tablespoon ground flax meal and 3 tablespoons of water. Stir and let that sit for a while (about 15 minutes in the fridge) until it becomes gelatinous and gooey. It would act as a great binder substitute, but since egg adds flavour, I would taste test just to ensure it’s still flavourful. I have not tried this with a flax egg flavour-wise but it will definitely bind it! Thank you so much! I’ll try it and see how it goes. Wow! Those are absolutely divine. My cousin made those for her kid and I honestly couldn’t resist and ate 3 of them! They’re too good! My kid also was all over it! Also, it’s not too messy. Great! Thanks so much for the feedback. I definitely need to whip these up soon again! Do you think I could make these with a flax egg? I have vegan mozarella I’m just not sure they would stay together. Hi Katie, Yes! I have used flax eggs while making this. The vegan mozzarella should be able to help it stay together. If not, you can add another flax egg. Let me know how it goes! These are awesome! I made them for my foodie toddler and was surprised when my junk food-loving boyfriend wanted more. Win! Win! Yay! So glad to hear that, definitely a win haha. Thanks so much for your feedback! Yay!! So happy to hear you enjoyed! I hope your hubby and boys definitely do too! Thanks for your feedback 🙂 if you have a photo, I would love to see if possible! These look awesome! I was just wondering what brand of vegan mozzarella you used? I’m really hoping that my recently picky toddler, will love these! I used Daiya for this but other great brands include Kite Hill Cheese (my favourite) and Chao! I hope that helps! Thank you so much by the way and I hope that you and your toddler enjoy! Will if work if I replace the cheese with nutritional yeast? Thank you! Unfortunately not! The cheese acts as a “glue” for the bites. You’d definitely need to use vegan cheese. I hope that helps! Hi! Thank you for this recipe. I have them in the oven right now and can’t wait to see what my family thinks! Any suggestions about making these ahead of time and reheating? Would it be ok to prepare them and fill the muffin tins, then store raw in the fridge for the day and bake in the evening? Or better to bake them fully, then reheat them in the oven when it’s time to serve? So excited to try these!! Thanks so much for the great idea! Due to a hiccup in my supplies (and the particulars of a kosher kitchen), I made them in the half mini pepper instead of in the mini muffin tins. To make sure the peppers didn’t go all soggy, I replaced the egg with more cheese and skipped the baking step – going straight to broiling instead, just until the cheese was all delicious and melty. Because I increased the cheese, I also left out the pinch of salt. Hi Mandy! Of course you can! You’ll have to watch your cooking time though, it might take a bit longer. I hope this helps. Perfect when we’re watching a movie! Thank you for sharing this! Will definitely make this one! They look so cute! Would it possible to put a chunk of cheese in the middle and maybe mix some spinach in the quinoa mixture? I’m too excited to try these quinoa bites. I will be keeping your recipe, Jessica. Thank you so much for sharing! Thank you for the kind words and also thanks so much for reading Yang!! Thanks for sharing! Quinoa is really one of the best superfoods, here I’d like to share its health benefits I read online.